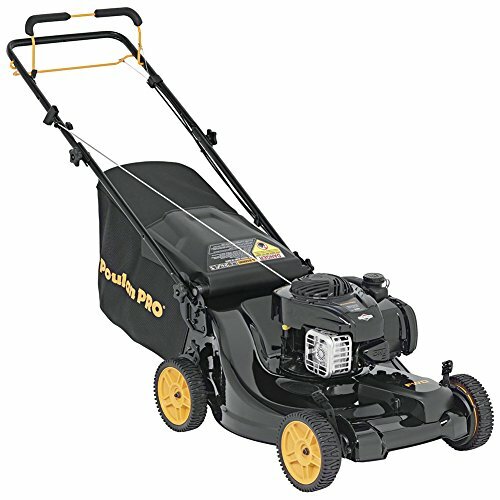 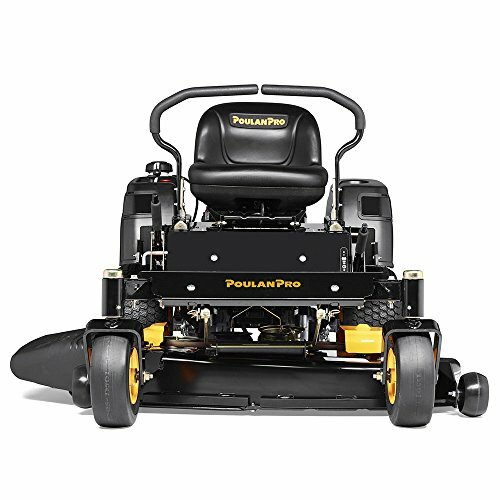 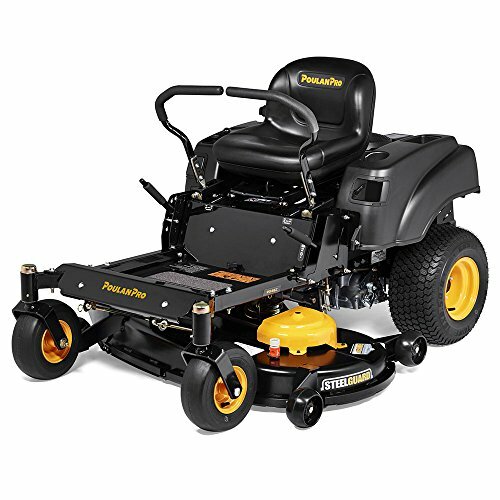 Equipped with a powerful Briggs & Stratton twin cylinder 22 HP Pro Series engine rugged 46″ Steelguard welded, reinforced steel deck, and rugged steel frame, the Poulan Pro PPX46Z zero-turn mower is powerful and efficient. 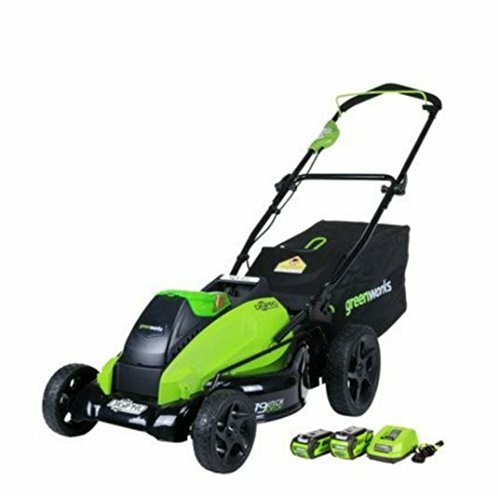 It has a dual hydrostatic drive system; ergonomic, easy-to-operate steering lap bars with foam-padded grips; and 18″ rear tires for optimal driving control, superior comfort, smooth ride, and fast ground speeds. 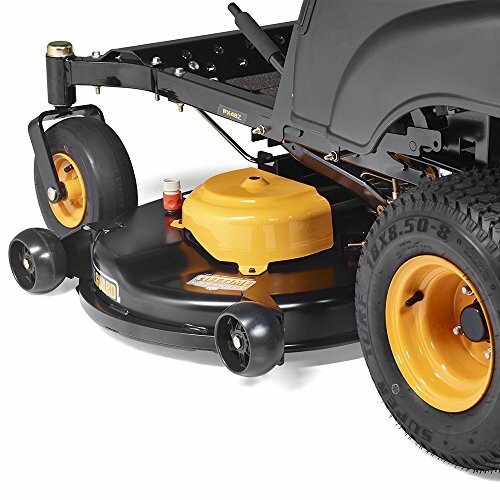 An electric clutch engages mower blades with a simple flip of a switch, and three anti-scalp deck wheels reduce the risk of damaging your lawn when mowing uneven terrain. 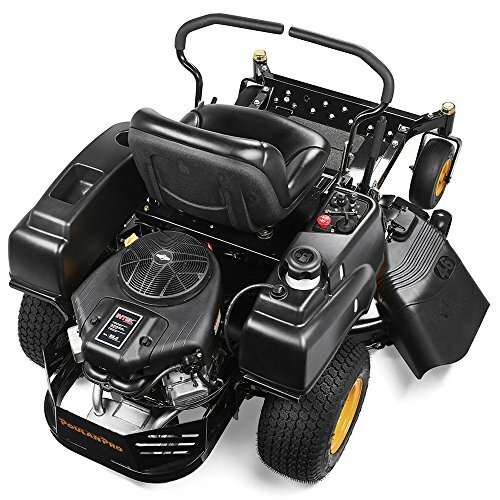 Other convenient features include a maintenance and service reminder, comfortable 15″ mid-back seat, water hose connector, built-in cup holder, and optional headlights. 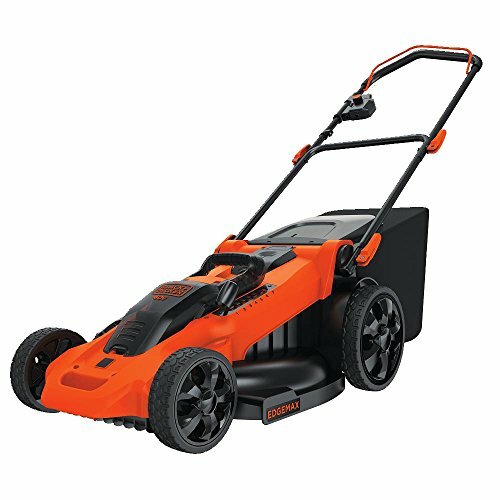 This mower is great for large yards two acres and more; and with hassle-free maneuvering around obstacles like trees, shrubs, and flower beds, and top speeds of 6.5 mph, it’s built to handle any task.